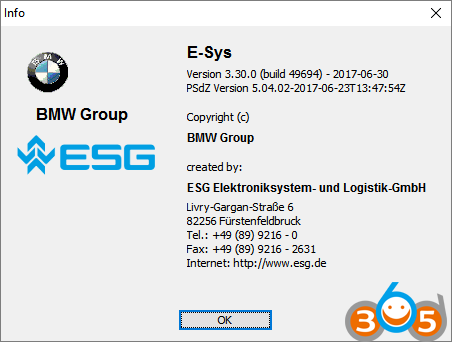 (09/04/2017) Free download BMW E-sys software 3.30.0 (build 49694) for BMW ENET cable (Ethernet to OBD interface). 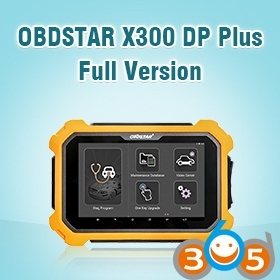 E sys v3.23.4 + V50.3 data + TOKEN + PIN: tested OK!! 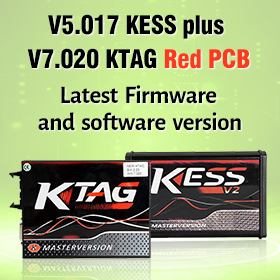 – E-Sys 3.29.0 and 3.30.0 have been released since after TokenMaster last disappeared, so don’t expect them, or any future version of E-Sys to work with E-Sys Launcher, until if and when TokenMaster returns and starts updating E-Sys Launcher again. For flashing failure risks to minimize, you need as much JAVA memory as you can have. E-sys 3.30.0 comes standard with Java 32 bit, maximizing usable memory to 2Gb (actually less, because runtime uses lots of Mb’s as well. Thx Tokenmaster). Default setting in E-sys 3.30.0 is 1024Mb. You can change it (in esys.bat; thx Shawn)to about 1500Mb. If you set too high, E-sys won’t start anymore. Just trial&error. 4. Rename just installed JRE 8 x64 folder(c:\Program Files\Java\jre1.8.0_144) to JRE and move to c:\EC-apps\ESG\E-sys\jre. 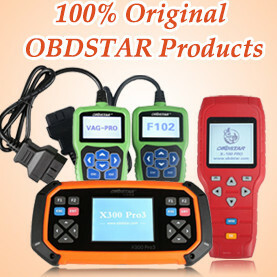 For me this was solution for NBT flash issues! 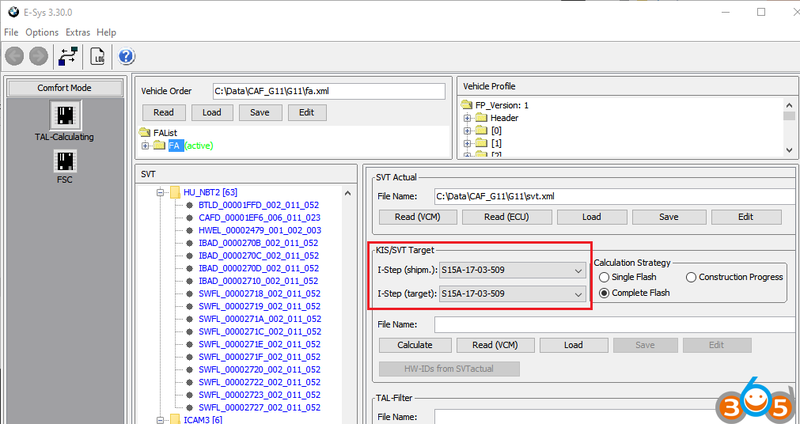 I tested it by psdzdata 3.62.1 for coding and programming ok.
“Failed to sign FDL[C158],EstCmCryptgraphicExcetion:SignHandler can not be initialized with data from EST. 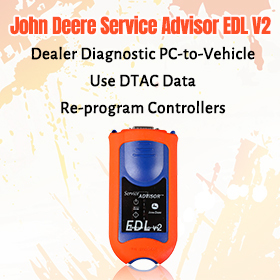 For FDL Coding, E-Sys Launcher provides both an .EST Token Solution for signing Coding Changes, and CAFD Mapping to add back in and display the Trimmed Data. You do not have .EST Token solution, so you have EST error. 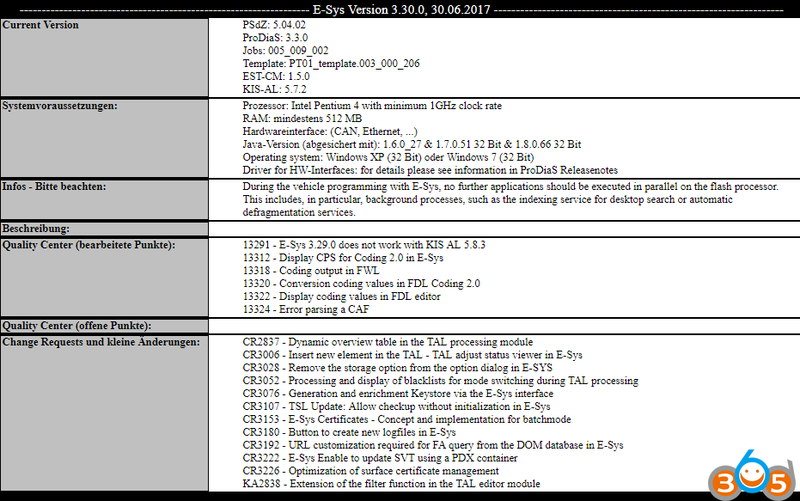 So, either a real BMW AG .EST Token file is needed or E-Sys must be patched to accept a non-OEM .EST Token file. 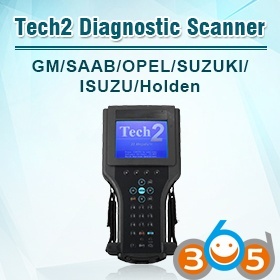 Beyond Token, you also need either Untrimmed PSdZData from BMW AG’s vault. Without Untrimmed PSdZData, you can resort to “counting” method as you did, or similarly using FDL Storage Info (Address and Bitmask), which spares you the counting, but both methods are tedious and make the assumption that Current CAFD versions FDL Code structure is same as previous version, an assumption that is not always true. Without Untrimmed PSdZData, FDL Coding is best left to older E-Sys 3.23.4 / 3.27.1 / 3.28.1 and E-Sys Launcher.